Home»All»Give Away: Family 4 Tickets to Farm Fun at Blessington Farms! 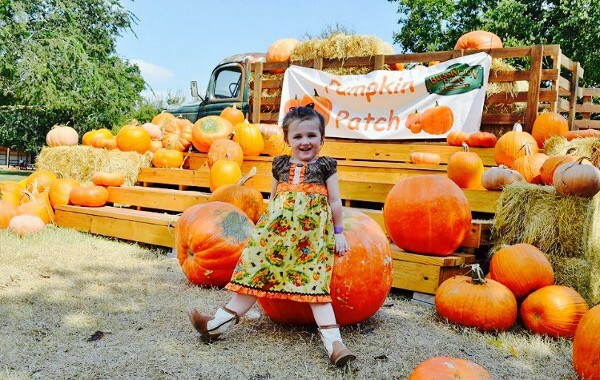 Blessington Farms is NOW open for the Fall season… and will be open EVERY Saturday and Sunday through October 30! AND BigKidSmallCity MORE has tickets to giveaway! If you want to win 4 tickets to the farm, good for any day during the 2016 fall season, sign up below! Activities include hay rides, giant slides, barrel train rides, pedal cars and animal encounters with camels, Baby Doll sheep, goats and many more. Feed the new Quaker Parrots, explore the Rope Maze and enjoy the Fossil Dig. All activities are included in the price of admission (except fishing). Admission: $15/person (kids 18 mos. and under are free) and fishing is $5/per pole. Update: Congratulations to Lisa K! Contest Ends: Friday, September 29, 9:01am. Love your blog! Thanks for this opportunity.